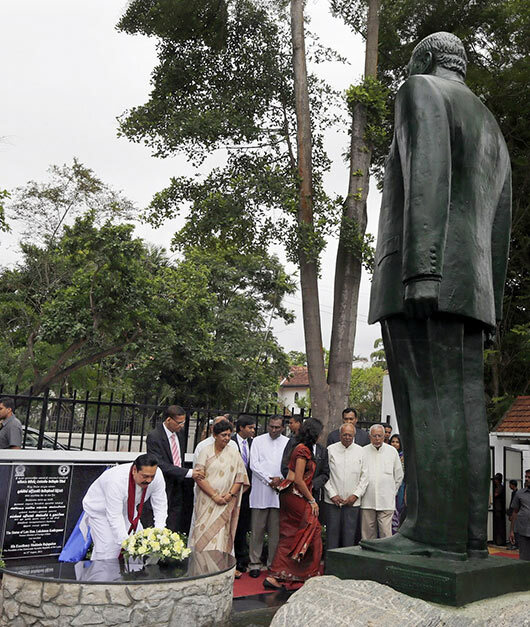 President Mahinda Rajapaksa unveiled a statue of the late statesman and veteran politician Lakshman Kadirgamar on his 8th Death Anniversary today (August 12) at the Lakshman Kadirgamar Institute of International Relations and Strategic Studies (LKIIRSS) in Horton Place, Colombo-07. Thereafter Ministers, parliamentarians and the distinguished guests headed by the President offered floral tributes to the statue. A special commemoration ceremony was held at the premises of the institute to mark the occasion under the patronage of President Rajapaksa. Former Foreign Minister Lakshman Kadirgamar (age 73) died on the 12th of August in 2005 by a Tamil Tiger terrorist (LTTE) sniper attack. He joined politics in 1994 and worked as the foreign minister for two times under President Chandrika Kumaratunga’s People’s Alliance and the UPFA governments. As a distinguished lawyer, international humanitarian and a world popular figure, he achieved international prominence in this position due to his wide ranging condemnation of the LTTE and his efforts to have them banned internationally. 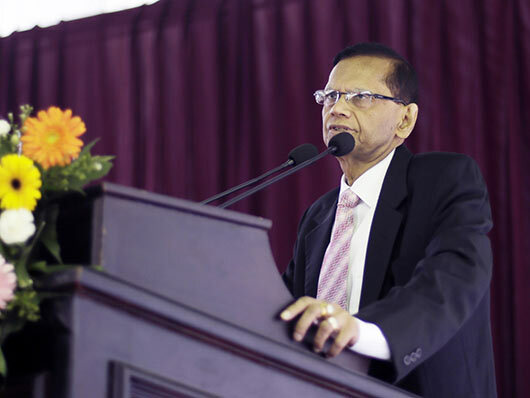 Speaking at the occasion External Affairs Minister Prof. G.L Peiris recalled the outstanding service discharged by Lakshman Kadirgamar on behalf of the country. He said that late minister rendered a great service against the LTTE terrorism at diplomatic level. He constantly appeared on behalf of the integrity of Sri Lanka and believed that all ethnic groups should live in harmony. Mr. Kadirgamar also showed to the international that there is a clear difference between the expectations of the Tamil community and the LTTE. Kadirgamar, himself an ethnic Tamil, during his tenure as Foreign Minister was instrumental in getting the terrorist organization banned by the United States in 1997. He also massively contributed to ban the LTTE internationally including UK and European Union. He tirelessly worked with the United Nations to make the Wesak Poya Day as an international holiday. The progress report of the Kadirgamar Studies Institute was handed over to the President and the invitees by its Executive Director Asanga Abeygunasekara. 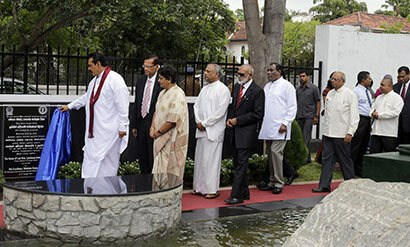 The assassinated former Minister’s wife Sugandhi Kadirgamar, family members and relatives were present at the occasion. Members of the Maha Sangha, Ministers Prof. G.L. Peiris, Dinesh Gunawardena, senior minister A.H.M. Fawzy, monitoring MP Sajin Vass Gunawardena, many Parliamentarians, senior officers representing Sri Lanka Armed Forces, foreign diplomats, officials from External Affairs Ministry and Kadirgamar Institute were among the other dignitaries at the ceremony. This late great hero who laid the foundations of the fate of the Tamil terrorists is indeed, a great son of the soil. And so are the 3 (or 7 ??) great souls who sacrificed their lives seeking redress to acid pollution of the water source for the village of Welweriya. I suggest we erect statues of the 3 along the Colombo-Kandy Road.